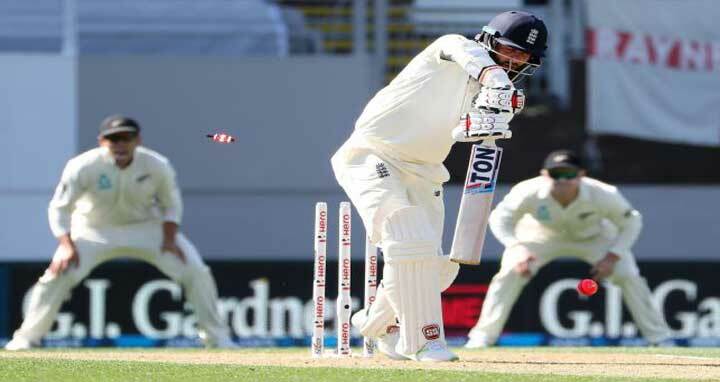 Dhaka 22 Mar, Abnews: England were all out for 58, their sixth lowest score ever, after being sent into bat in the first Test against New Zealand in Auckland on Thursday. The innings lasted just 20.4 overs with New Zealand’s Trent Boult taking career-best figures of six for 32 while Tim Southee took four for 25. Craig Overton, batting at nine, top scored with an unbeaten 33 as England lasted just over 90 minutes of what is the first day-night Test to be played in New Zealand.